The section of Space Systems Engineering provides unique and recognized education, research, and engineering of end-to-end space systems. Focus areas within Space Systems Engineering are Miniaturization and Distributed Space Systems. 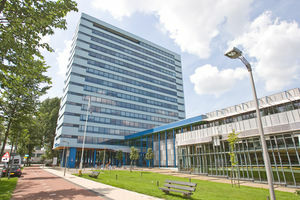 The Space Systems Engineering group is involved in educational activities within the Faculty of Aerospace Engineering at both the Bachelor and Masters level. Focus areas within Space Systems Engineering are Miniaturization and Distributed Space Systems. SSE provides students and researchers with facilities such as a cleanroom, workshop, and ground station.